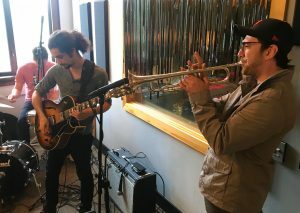 Beyond national headliners Richard Elliot and Nate Harasim, the two-day weekend festival heralds local stars, including a riveting “student” jazz combo. See the full schedule, watch a performance video. 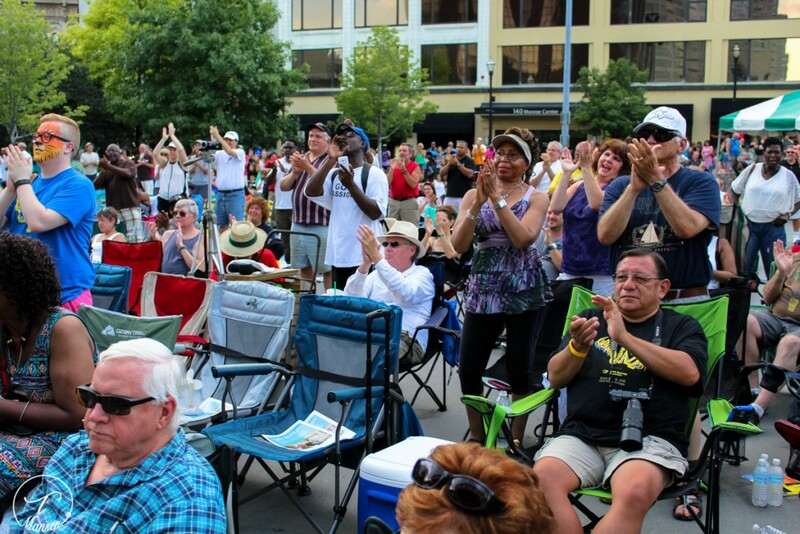 Since its founding six years ago, GRandJazzFest has become a sweet coda for a summer season that always seems to hurry, too fast, toward Labor Day. 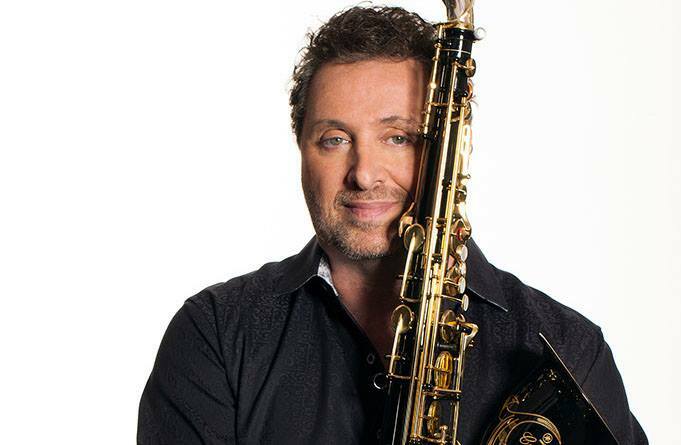 Headlining this year’s event on Saturday and Sunday at Rosa Parks Circle in Grand Rapids is Richard Elliot, a soul-inspired tenor saxophonist from Los Angeles. With 10 more performances on the bill, the free two-day festival is sponsored by the DTE Energy Foundation. The music begins at 12:30 p.m. Saturday and at 1 p.m. Sunday. Elliot’s concert starts at 8 p.m. Saturday. One of the highlights of this year’s notable lineup is Blushing Monk, which is set to launch Sunday’s performances. The brand new ensemble, stacked with professional musicians with college-level training and recent graduates, has just a couple of public performances to its credit. Dutcher Snedeker, who plays keyboards and synthesizer, hand-picked musicians to bring the group together specifically for GRandJazzFest. Blushing Monk also includes Brad Fritcher, trumpet; Caleb Elzinga, saxophone; Joe Vasquez, bass; Olin Clark, guitar; and Jordan Otto, drums. 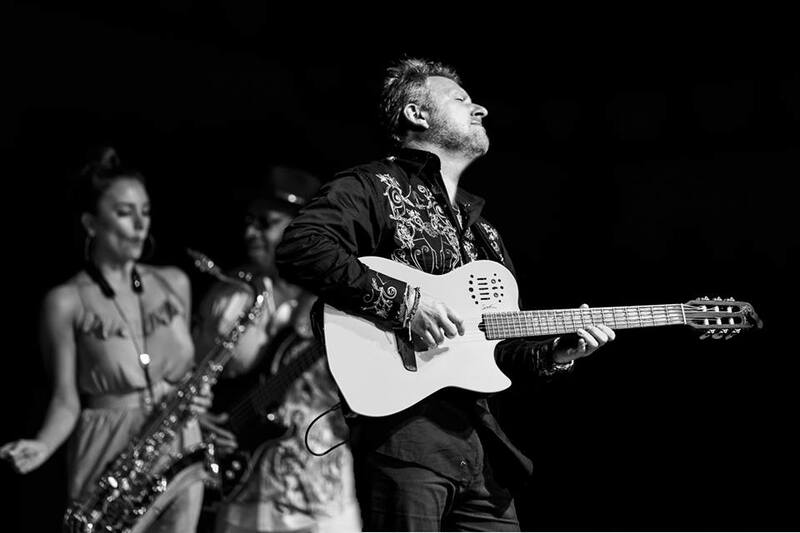 “I picked these players because we have all played together in different groups, and we all are active professionals in Michigan,” said Snedeker, who is well-known to West Michigan audiences through performances with Brad Fritcher’s MOODs, Hannah Rose & The GravesTones, The Underground Circus and other bands. The band recently made an in-studio appearance for Local Spins on WYCE, performing a couple of original selections on the air at WYCE (88.1 FM). Watch the video for “Frankenstein” here, with the full podcast below. The new band pays homage to iconic jazz pianist Thelonious Monk and saxophonist Donny McCaslin. “We’re equally enthralled by the works of Thelonious Monk as we are with Donny McCaslin’s quartet or Thundercat, both artists rooted in jazz that include electronics and collaborate with other artists,” Snedeker said. McCaslin’s group was hired by David Bowie for his final project, “Blackstar;” Thundercat was hired as a performer/producer for Flying Lotus and Kendrick Lamar, he noted. Snedeker said he thinks Blushing Monk — which performed earlier this year at the Division Avenue Arts Collective, aka The DAAC — appeals to a younger audience with its spin on the technical side of jazz to infuse it with electronic elements. “We’re just trying to add to the discussion of what constitutes jazz and who is the audience,” he said. “Jazz can be a loaded word when trying to book a show, because without listening to an artist, most people assume jazz is Sinatra or Louis Armstrong-styled artists playing music that hasn’t been relevant in decades. 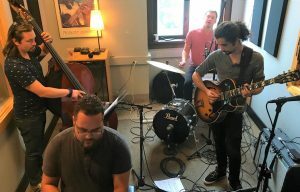 The talented bunch kicks off Sunday’s slate of performances, which also boasts Grand Rapids’ Isaac Norris Project, Organissimo (which earlier this year released its “B3atles” album), Canadian electro-jazz ensemble Four80East and smooth jazz outfit Nate Harasim & NILS featuring Brandon Willis. 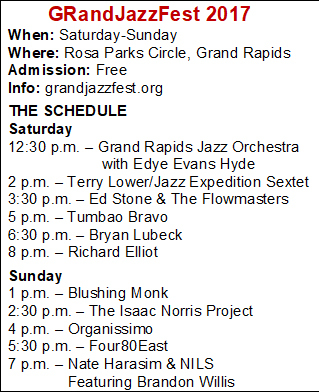 Saturday kicks off with what’s become a tradition for GRandJazzFest — a set by the Grand Rapids Jazz Orchestra with singer Edye Evans Hyde at 12:30 p.m. Following will be Terry Lower & The Jazz Expedition Sextet (Lower was 2016’s West Michigan Jazz Society’s Musician Of The Year), Detroit’s Ed Stone & The Flowmasters, Cuban jazz faves Tumbao Bravo and guitarist Bryan Lubeck, whose musical career was launched following a performance with Saturday night headliner Richard Elliot. 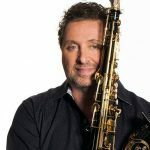 Elliot, who was born in Scotland but raised in Los Angeles, cut his professional teeth playing sax for funk band Tower Of Power in the 1980s. He’s known for favoring decorated saxophones. He has released nearly two dozen recordings, the latest being “Summer Madness” last year, which, according to his website, reflects his love for R&B and soul. Spanish Guitar and Urban Grooves: Bryan Lubeck performs at 6:30 p.m. Saturday.